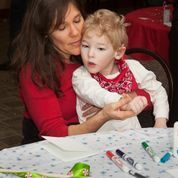 Because of generous donations from people in our community like you, My Village NW is able to provide inclusive and supported family activities and programing to families of special needs children. We could not do this important work without your help! You will receive a donation receipt for tax purposes from My Village NW. If you have any questions, please contact us.